There was a miniscule dose of uncertainty as we set out on an adventure to visit three destinations in 11 days. This wasn’t just any normal excursion where you jump on a quick flight and tee it up at a resort a couple hours away. Rather, this was a big time road trip to Hawaii, the Big Island – the place you’ve only seen on postcards (old school) or online ads (new school). Would it live up to the hype? Could it possibly be as beautiful as advertised? Is the golf worth playing or is it mostly an overpriced amenity? Well, you’ll be pleased to know that those answers are, in order, yes…oh my yes…and definitely worthwhile. The Big Island not only delivered on the promise, it took the concepts of beauty, excellence, service, and memory-making to a level not previously thought possible. The following story is a combined effort as your humble correspondent was joined by his wife on the “trip of a lifetime.” I’ll handle the golf recap as she looks back on the rest of our incredible trip. It’s a long day of travel to the Big Island no matter where the journey begins. Between the standard irritations of airline travel and the sheer length of the trip, we were indeed a weary couple that landed at Kona International Airport (KOA) on the opening evening of the trip. Though the clock said 9:30pm, our bodies were screaming for sleep since back home it was six hours later. We just wanted to get to the first resort, collapse, and wake up in what we hoped would be paradise. Thankfully, we did…and it was. Despite our fatigue, the first impression of walking into Waikoloa was one of awe. The property was nothing short of sprawling. Even the directions to our room seemed a little overwhelming, but as we followed the open-aired hallways to our building we saw incredible artifacts, sculptures, and art adorning the walls. It was as if we had entered a museum! We entered our ocean view room, opened the balcony doors, and fell asleep to the sounds of waves crashing on the shore just beneath us. Morning brought us to the Big Island Breakfast, “Big” being the operative word for that meal! We sat next to tall windows overlooking the resort’s lagoon. From our table we could see fish jumping in the lagoon, fed from the ocean and circulated by a waterfall. The omelettes were made to order, a plethora of fresh tropical fruits and juices, and an expansive buffet greeted us. The smells and décor were a delight to our senses, and the warmth of the staff made us feel like “ohana”. We took time in the afternoon and evening for exploration, discovering all the resort had to offer. We walked through the corridors, always noting the collections found there. We watched the train as it wound its way through the resort, dropping off and picking up guests to the many shops, restaurants, and amenities. Aboard the boat, we followed the waterways throughout the property one evening, marveling at the moon and stars shining so brightly in the night sky, and we made it back to the room in time to watch the finale of the World Series – an important moment in history that will always be connected to this special place. We strolled along the flagstone pathways, lit by torches at night, walking across bridges and under waterfalls. We ate dinner while watching the dolphins that make their home in part of the lagoon. The resort offers opportunities to learn more about these incredible animals, as well as actual swim time with them and a chance to try the hand signals that they have been taught. We even saw a dolphin “kissing” a baby! In addition to the lagoon, the resort also had several pools, sun decks, cabanas, whirlpools, and even a water slide. The refreshment of the water was necessary because the sun was always shining and the temperatures were always very warm. There was never even the slightest chill in the air! But there was the ever present breeze and the constant sound of the crashing waves…an amazing soundtrack to the beauty that surrounded us. With 36 holes on the itinerary, I was excited to experience my first golf in Hawaii. The opening round was scheduled for the King’s Course – a Tom Weiskopf layout that provided outstanding views of the surrounding mountains, fields of black lava rock, and a comfortable resort-style course that brought with it a bit of a links feel. I quickly learned that there are 3 primary variables one must define and conquer in order to post a score worthy of public consumption: the general slope of the course as it pertains to the water and mountains, strong breezes that carry warmth along with a 2-4 club change, and the general lack of bodily coordination and orientation that seemed to pack itself in my luggage. My individual struggles aside, the King’s Course is really solid as an excellent way to work out the swing kinks and get in the flow of golf on this side of the planet. The greens were every bit as smooth and quick as you’ll find at many private clubs and the flow of the design was really enjoyable. I’ve long been a fan of Weiskopf courses, and the Kings’ Course was a solid reminder why. For the next round at Hilton Waikoloa Village, I was paired with an amiable contractor from DC named Guy, for an 8:04 tee time on the Beach Course. It was really helpful to have Guy along because he had played many rounds on the Beach Course and was great at pointing out aiming points, hole strategy, and a fair bit of knowledge about the area. Guy is a property owner and member at the Hilton and had a condo on the back nine at the Beach Club. If I didn’t know better, I’d think he was a spokesman for the resort because of his enthusiasm for making a bi-annual pilgrimage out to the Big Island. So, perfect morning (I would soon learn that pretty much every morning is perfect out here), fun playing partner, most of the jet lag shaken off, and a great golf course awaiting my birdie barrage (it’s still waiting for that part). A very different feel from the King’s Course, the Beach version carried a bit more challenge with water in play, tighter fairways surrounded by lava rock (hint: it’s REALLY hard to get a ball to check off lava), and large greens that demanded precise approach shots. I was kicking myself for leaving my Bushnell at home, because there were numerous times when I could have used a precise distance. The course isn’t well marked – the only minor blemish on its resume. Guy and I were playing well, making great time on the front. With my wife along helping take pictures and video, this Beach Course round was staking its claim as the golf highlight of the trip. Little did I know it was only going to get better as we made the turn. Guy had tossed out a bit of a teaser about what was to come, hinting at a “pretty nice signature hole” up ahead. Since the name of the course included the word “beach,” the inner detective in me thought there might be an opportunity to play near the ocean at some point – but the highlight hole was even more special than I predicted. The 500 yard, dogleg left 7thh hole is beyond spectacular. The views look like something from one of those “Successories” posters where the label read “Dream to Achieve.” Framed by lava and running alongside the ocean, this beauty provided a number of options from the tee. Feeling brave and playing downwind, I tried to cut as much of the corner as possible. I’m not a long hitter but this one was mashed at full throttle. The high bomb was being aided by the strong breeze and carrying on a line that, if it all worked well, would leave me with a short iron in to the Par 5. I held the pose, knowing that no purer drive had ever been struck in the game’s history. Then, it happened. Just as I was about to reach down and confidently pick up my tee, I saw the bounce of ball meeting lava. My bomb hadn’t carried far enough. Ego deflated. Score in jeopardy. Provisional being retrieved from the cart. Sigh. But, my friends, this is Hawaii, where legends and tradition are celebrated and revered! After bunting a provisional in play wayyyy back at the dogleg, we conducted a brief recon mission and discovered that the lava had treated this guest with great kindness. My first tee ball was in play, 130 away, on one of the planet’s most beautiful holes. After hitting a really nice approach (pitching wedge) to 15 feet, I was dreaming of eagles, certain that none had ever been made on this hole. So when I left my eagle putt a mere 7 feet short, I quickly saw glory fading. Irritated with my own incompetence with the flat stick, I managed to snake in the birdie putt and celebrate a wonderful 15 minutes spent on the highlight of the Beach Course. If the King’s and Beach Courses were given a letter grade, I would happily write in a B+ and A on the report card. There is so much good about both layouts, the setting and surroundings, and the hospitality of the staff that works both courses. You’ll have to search long and hard to find a more gracious and inviting host than longtime Director of Golf Kevin Ginoza…and that search will need to be even longer to find a better pair of courses to launch the golf part of our adventure. On our final night at Waikoloa, we were treated to an authentic Hawaiian experience – an evening at the Lava Lava Beach Club! We lounged at a table just past the waves, right on the black sand beach. We listened to the live music and watched the fluid beauty of the hula dancer. We were filled with the flavors of local fare, and we ate as we watched the sun set just beyond our table. Soon the moon appeared in the sky, followed by the planets of Venus, Mars, and Saturn, and then the stars!! The trees around the beach also lit up with little white lights. It was surreal. Everyone was enjoying the casual setting, no one seemed to be in a hurry, but all were content to soak in the experience. So refreshing! As we turned in for the night, sad that the morning would bring our departure from this wonderful resort, we both agreed that the next location would really need to be “something” to top the days we had just experienced at the Hilton Waikoloa Village! We found that “something.” The journey from taxi to “jaw drop” took all of 45 seconds as we walked into the open air lobby at the famed Mauna Kea Beach Hotel and were promptly greeted with a lei, a warm hello, outstanding personal attention at the check in desk (including freshly poured guava juice), and our first glimpse through the lobby and outside to an ocean view so vivid it seemed as if we could reach out and touch the water. This postcard scene was set against the backdrop of Mauna Kea itself–the tallest mountain in the world, from seafloor to summit. The overwhelming feeling at Mauna Kea is one of openness and space. Nothing is crowded. The air currents flow unhindered through the building, just as the fish swim lazily through the ponds in the atrium. Walking through the shops feels like strolling through an outdoor mall. That introductory scene was but a precursor to what came next – opening the door to our room. These were the accommodations that one usually only dreams about! We stepped into the foyer, looked straight ahead through the large room to the expansive lanai and the waves of the ocean. To our left was a walk-in closet that I immediately wanted to take home. To the right was the spa-like bathroom, The first room held the double vanities and mirrored walls; the second room held the toilet, the soaker tub and separate shower—all with a view to the ocean and a private sun deck! Imagine bathing or showering, not behind a curtain, but with a view of the ocean!! Waiting in the room for us was fresh fruit and cold water, along with a welcoming note from the wonderful team at Mauna Kea. Waiting outside our room was the long, sandy beach that Laurence S. Rockefeller first saw from his helicopter in 1960, compelling him to ask the aircraft to land so that he could take a swim. That swim was all it took for him to decide that he had found the location for his resort. Mauna Kea sits back in a cove formed on each side by underwater reefs. The beach curves around this cove and gently slopes into the ocean. The water is surprisingly warm. The resort also boasts a 10 foot deep pool, along with a couple of whirlpools, but we didn’t travel all the way from the Midwest to swim in a pool. Our toes found only salt water! We did, however, gain a greater appreciation for the reef surrounding us by snorkeling. It was stunning! We saw thousands of fish of all shapes, sizes, and colors; sea urchins seemed to cling to nearly every nook and cranny of the reefs, and we floated on the currents with schools of bright yellow tangs. In the evening, this same area had a spotlight that shone down on huge black and white manta rays, feeding on the plankton that the light attracted. Make sure you pack your underwater camera when you come to the Big Island. It was a tremendous oversight in our packing roster because capturing that underwater universe would have been great fun. We dined in both the Copper Bar and the Hau Tree Restaurant in the evenings. Both venues offered not only exceptional food, but also fabulous views of the sunset. Torches would light the area after the sun went down, and the music and dancing would join the rhythm of the ocean waves. The recent passing of Arnold Palmer made this round even more special as I was frequently admiring the unique touches his creative artistry brought to the Hapuna Golf Course. Right from the start, it was both gorgeous and challenging. With its seemingly endless views and dramatic elevation changes beginning at sea level and rising to 700 feet, Hapuna Golf Course nestles into the rugged desert terrain above the west shore of Hawaii’s Big Island. I played from 6,400 yards and found the shot values to be demanding but fair throughout the round. One of the unique features of golf on the Big Island, is what you see around the course. Distracting views of the Pacific Ocean form the picture perfect backdrop pretty much the entire round, with the alluring blue water visible from nearly every hole. Because of the time change from home to Hawaii, playing early proved to be a very solid strategy. At Hapuna, I went off around 8:20 and flew through the round. I’m a huge fan of golf at a fast pace, so this morning (and all the others on the trip) were a joy. I played Hapuna in under 3 hours, posting my best score in quite a while – 74. With the temperature climbing rapidly, I putted out on the challenging 18th and took a moment to soak in the contribution to the game that Mr. Palmer shared at Hapuna. As with everything else he did, the end result was laden with dignity, quality, fairness, excellence, fairness, and the type of memory that brings people back for more. Classic Arnie…and a classic course. My second round at Mauna Kea took place on the resort’s signature course. For this loop, I was paired with a young engineer from Dallas who was taking a solo trip to the Big Island for a few days of relaxation. He was trying to squeeze in some golf and we were both excited to tackle the Mauna Kea GC challenge. What a challenge it was! Robert Trent Jones, Sr. developed a reputation for building courses that truly test the player from tee to green, and MKGC certainly fits that mold. If this had been a classroom, my grade for the test would not have been pretty, but my scoring issues were not the fault of the course. Simply put, it is remarkable. Whereas the green at Hapuna were sizable, moderately paced, and mostly flat, RTJ built a course with undulations throughout. Don’t be misled or deterred by the difficulty – just bring your “A” game and get serious about every shot. Before the round got too far along, we were treated to one of the most stunning sights I have ever laid eyes on – the signature 3rd hole. The story behind it starts with a bold claim from the designer to the boss. “Mr. Rockefeller, if you allow me to build a golf course here, this’ll be the most beautiful hole in the world.” Robert Trent Jones, Sr., at the 3rd hole site. He delivered a beauty. As any golfer can attest, when you get a chance to tee it up on a postcard hole, the last thing you want to do is splash your shot. Thankfully, mine found terra firma. My friend from Dallas has a slightly different memory. There are some courses that live and die with their solitary signature hole – this isn’t one of them. Yes, the 3rd is camera-worth, but this course has 18 solid, championship holes each bearing enough of a challenge that this intrepid reporter posted his highest score of the entire trip on Mauna Kea. I’m still searching for a valid excuse, but think I’ll settle on this one: a great course asked me to prove myself with each shot and I failed to do so, struggling to keep it in the mid-80s. While I don’t plan to rank the 6 courses from this trip in any order of preference, I will break protocol briefly to place Mauna Kea atop my leaderboard for Big Island golf. It’s truly special. We finished our time at Mauna Kea with Director of Golf Josh Silliman and Public Relations Director Vicky Kometani. They treated us to lunch on the patio at Number 3–the restaurant near the pro shop. While we enjoyed seafood chowder and crab quesadillas, they were able to share with us their passion and love for Mauna Kea. By this time, we were fully convinced of the beauty and magic of this place! We had experienced it first hand. “Experience” is the necessary word for Mauna Kea. There is something so special and almost mystical about it. It’s not something that can easily be put into words, but is something that can be felt in one’s soul. As the oldest and first resort on the Big Island, Mauna Kea has its own niche in Hawaii’s history. We understand what happened when Mr. Rockefeller landed on that beach! It happened to us as well. Each of the three resorts we visited was unique and possessed an almost undefinable quality. Mauna Lani Bay Hotel and Bungalows was certainly no exception! Our experience there began with the walk into the resort lobby, following the open-aired walkway past the ponds of koi and into the gorgeous atrium that is encircled by the resort’s rooms. Once again we were greeted with a personal “Aloha”, a lei placed around our necks, and fresh guava juice. We sat down with our greeter, Edwin, who explained to us not only where we would be staying, but also shared much information about the resort and the amenities available to us. In the coming days, Edwin would greet us by name as we passed him in the lobby. It’s that level of personal touch from many staff members that helped us realize how special this place would be. Our room at Mauna Lani boasted another wonderful ocean view from the sixth floor. We immediately opened the huge double doors out onto the balcony and inhaled the ocean breezes while absorbing the sounds of the crashing waves on the beach below. These smells and sounds were so intoxicating! Being back home now, those elements are what my mind goes back to when I close my eyes and think of Hawaii. Mauna Lani Bay carries within it a spirit and history that goes back to the days of royalty in Hawaii. It is the site of fishponds that pre-date the birth of Christ; one of the first sites of aquaculture in the world! These ponds were formed by the lava as it flowed toward the ocean. They were then filled with a mixture of rain water and salt water from the ocean, creating perfect ponds for growing and cultivating fish of all types. These sacred sites are the foundation for this area, and Mauna Lani resort is committed to their care and preservation. The ponds boast a wide variety of fish, from eels to hammerhead sharks to barracuda! The resort also raises several sea turtles each year, releasing them back into the ocean on July 4. The stories that this area has to tell will not be forgotten either. Mauna Lani has the treasure of a “Cultural Affairs” director, who makes it his mission to pass on the auras and mysticism of Hawaii’s past. Daniel Akaka is an amazing gentleman who is immediately able to share his love and enthusiasm for Hawaii with others, and makes you want to learn more. Our time spent talking with him, and accompanying him on a tour of the grounds was spectacular. The cultural center not only shares history with the guests at Mauna Lani, it provides ways of learning as well, whether it be learning to hula, or play the ukulele, or weave a basket, or make a lei! Mauna Lani prides itself on providing a true Hawaiian experience, and it is unequaled in that regard. Every facet of the resort carries with it this pride and fervor for authenticity to the culture of Hawaii. The pace is unhurried; the attention given to each guest is genuine. I experienced this in a unique way when I visited the spa at Mauna Lani for a Lomi Lomi. My massage took place in a hale–an outdoor hut. No recorded music is necessary here! The sounds of the distant surf and the birds in the nearby trees provide the soundtrack of relaxation. The ocean breezes and the flora and fauna provide the aromatherapy, and the ancient belief in the blessing and massage techniques of Lomi Lomi provide the release of tension. The spa offers a wide variety of services as well as a lap pool, an outdoor whirlpool, steam rooms, and saunas, all located within the gardens that surround the spa. We were able to snorkel off the coast at Mauna Lani, once again having reefs near the shore to explore. Here, we not only saw the thousands of fish and sea urchins, but had the opportunity to ride the currents with giant Honu–sea turtles! There are no words to describe this incredible experience! The world beneath the waves was simply breathtaking. Again – pack your underwater camera. You’ll be kicking yourself if you leave it at home. Our hostess at Mauna Lani was Susan Bredo. Having spent over thirty years at this resort, Susan is able to share history, culture, experience, and an ardor for this amazing resort. We loved hearing her stories and asking her questions. Her commitment and love for Mauna Lani only served to strengthen our own attachment to this uniquely Hawaiian resort. I held to the early tee time theme at Mauna Lani, going out at 7:20 both mornings. It proved to be perfect timing on the North Course as it allowed me to play in well under 2.5 hours. While most guests insist on playing the South Course because of its proximity to the ocean, the North course is the track that hosts championships, including the Hawaii State Open. Without a doubt, this is a fantastic course and from a pure golf standpoint, stands up against any venue anywhere. Built on a lava bed, this championship golf course is characterized by rolling terrain punctuated by Kiawe (mesquite) forests. It is flat out beautiful, but beware – this beauty carries a bite. With the feel of a classic design, the North course demands accuracy off the tee. The fairways are generous but at times you’ll find a well-placed tree that cuts down on your approach angle even though you found the short grass. Placement, strategy, and accuracy are rewarded on the North. Lava formations are prevalent through the course, sometimes framing the entire hole. Number 17, a par three tucked into a natural lava amphitheater, is one of Mauna Lani Resort’s signature holes and a favorite “I was here” photo spot. It’s like playing to an amphitheater where the crowd is composed of lava. I loved the setting of this short little beauty, even after my putter betrayed me and another bogey was added to the card. There is no doubt in my mind why the North Course has fast become one of the most popular tournament venues on the Big Island of Hawaii. I’ve searched the thesaurus long and hard to locate the best word to describe the South Course at Mauna Lani and came up with this one: wow! I’ve played golf in quite a few memorable places around the planet, but if you asked me to tee it up on the South Course only, for the rest of my days, you would get no argument from me. You may remember seeing this course a few years ago, at it played host to the annual Senior Skins Game from 1990 – 2000. Some of the game’s biggest names have competed on the South Course, creating a lasting legacy that still generates conversation and smiles from those who remember the fun of the tournament. 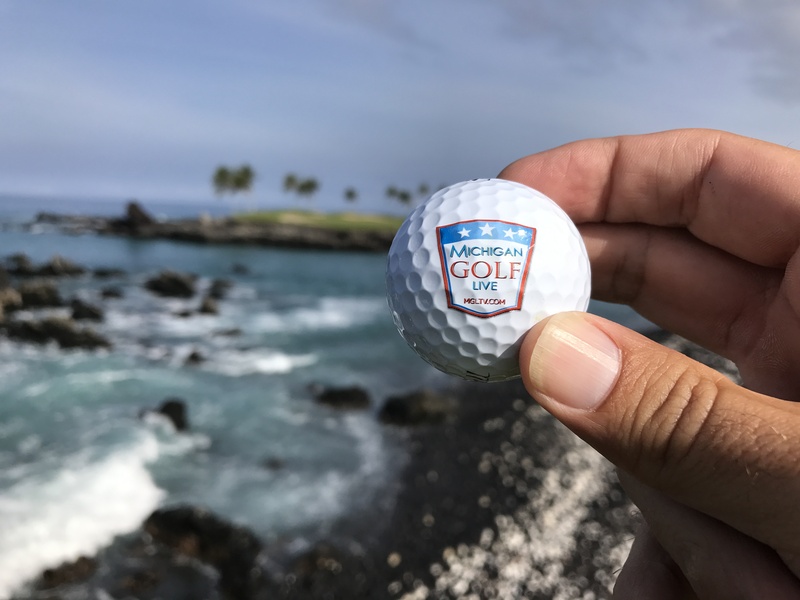 This Big Island golf course captivates golf enthusiasts as it snakes through the stark, rugged a’a lava of the prehistoric Kaniku lava flow, offering a panorama of mountain and ocean views alongside a challenging golf experience. The South Course is also home to No. 15, one of the most photographed over-the-water golf course holes in the world. From the tee, it looks as if there is nowhere but ocean to land the ball. The green looks miniscule from the tiny perch of the back tee. In reality, there is lots of room and making par is very realistic (unless your putter is working like mine did). The scenes on 15 and the rest of the South Course are just part of the recipe for this wonderful track. Along with being beautiful, it’s smart, fun, challenging, and kept in good enough shape that they could bring the legends back tomorrow and not have to change a thing. As the concluding round to my 6-course Big Island tour, the South left a permanent smile in my soul for teeing it up in this part of the world. Simply fantastic! 11 days of perfection, warmth, hospitality, and memories. While on the Big Island we witnessed both an historic World Series and a Presidential election for the ages. We also witnessed a culture that takes its time, truly appreciates its history and heritage, and welcomed visitors with open arms and sincere smiles. Do yourself a favor. When it’s time to escape the cold weather, the overbearing boss, to celebrate a special milestone, or just to try something new – get a flight to Kona, stay at one or all three of these outstanding resorts, and allow yourself to soak in the waves of the warm Pacific while you also soak in the unforgettable charm of the Big Island.